After recognising a missing link in Townsville house and land options, successful long-term property investor Stephen Ellis of Ellis Developments decided to do something about it. Stephen aimed to create high quality home-and-land packages, bringing modern designs to the increasingly discerning Townsville market. Drawing on our strong relationships with local developers and extensive knowledge of what the market is looking for, the Ellis Developments team uses our buying power to secure only premium lots in each area. Some of these packages are already under construction while others are simply in the approval or design phase. No matter what stage of the process, we encourage you to provide as much input into the build. Remain safe in the knowledge that each thought-out floor plan has been placed on the selected parcel of land with the same diligence we would for ourselves. Designed to meet your taste and budget, the below House & Land packages are just a small snap shot of what we have available. Enquire today and one of our experienced and knowledgeable Ellis Team Members will be able to help guide you. Haven is one of the last remaining large-scale residential sites with near-city convenience, linking the CBD and all of Townsville’s unique lifestyle offerings within a 2km radius. Master planned to include a 1km-long wildlife corridor around the site, each Haven home will have stunning mountain or park views. Haven’s Central Park offers exercise equipment and bike paths. All lots were unaffected by the 2019 Townsville Floods. The Haven difference isn't one thing, it’s the whole package. Lifestyle, meets location, complimented by supreme designs wrapped in a luxurious finish. With swimming at The Strand, morning walks up Castle Hill and The CBD's finest eateries being only minutes away, you'll love living at Haven. View all Haven house and land packages here. A great alternative to inner city living with the advantage of your own stand alone home and NO body corporate to pay! Featuring impressive internal and external raked ceilings over 3m high and a large private outdoor patio to capture the cool easterly breezes offering great views of Castle Hill. Located directly off a central park, this 3 bedroom laneway has been designed to take advantage of amazing views and tropical living offering all the elements desired in a new home while not breaking the budget. A great opportunity for the savvy investor with this model currently renting at $400 per week. This home that utilizes every bit of space including a supreme master bedroom away from secondary bedrooms with walk-in-robe, deluxe shower, and private access to outdoor patio. The Perfectly positioned study nook separates bedrooms - ideal for homework. The Village Estate in Oonoonba is one of Townsville's fastest growing communities due to its close proximity to the CBD, as well as easy connections to James Cook University, Townsville Hospital and the Lavarack Army Barracks. View all House & Land Packages currently available at The Village. This starter pack is perfect for the singles or a couple. The Terrace is designed for low maintenance living. Features 2 bedrooms with interior courtyard and single lock up garage. Galley style kitchen overlooking open plan living and dining areas. Sliding glass doors opening to outdoor patio, perfect for entertaining. This 3 bedroom laneway home has everything you need at a great price. The front of the home overlooks the park while the double lock up garage is in the laneway to the rear. This optimised 4 bedroom design provides for private rear access off the laneway and front guest entrance from the road. It is the ideal low-maintenance living. Large master bedroom with ensuite. Over 40sqm of private, fully fenced yard - perfect for children and animals. Pool options available. Railway Cottages is the newest boutique estate offering a variety of high-set, modern Queenslanders fusing the charm of the Railway Estates neighbourhood with the elegance of modern design. Nestled conveniently within 2km to Townsville CBD & New Stadium, schools, boat ramp, restaurants, and shops. Only 4 lots left available and eligible for the $15,000 First Time Buyers Grant. Railway Cottages has been designed by Master Builders award winners Ellis Developments to maximize outdoor tropical living offering all the elements desired in a new home while not breaking the budget. The Atlas' open floor plan flows seamlessly through extra large sliding doors to the outdoor patio. Packed with features including study nook, walk-in-pantry, & large patio with Castle Hill views. Featuring 4 bedrooms with a secondary living space for a formal sitting, kids rumpus, or theatre space. Packed with features including open floor plan, vaulted ceilings, study nook, walk-in-pantry, & large patio. This tri-level, split design features a private master suite on the top floor featuring office or additional sitting room and a private balcony that captures the eastern sea breezes. Nestled in one of Townsville’s most desired suburbs, Ellis Developments’ Parramatta Street Project is bringing modern elegance to large lots in Belgian Gardens. This design utilizes every bit of space including a supreme master bedroom away from secondary bedrooms with walk-in-robe, deluxe shower, and private access to outdoor patio. The perfectly positioned study nook separates bedrooms - ideal for homework. This grand home will suit anyone with a taste for luxury in a truly peaceful environment. With plenty of space both inside and out and high quality finishes this is one of the best homes in a premier location. Commencing construction soon. Currently under construction and READY for move in APRIL 2019. Presenting a unique opportunity to live in a brand new, luxury Hampton's-style home designed specifically for this perfectly positioned quiet street in Belgian Gardens and will suit anyone with a taste for luxury in a truly peaceful environment. Nature is at your door at Bushland Grove. Located in Mount Low, the neighborhood comes complete with lots of wide open spaces, playgrounds, fitness stations, BBQ's and is close to the beach, shops, schools and parks. This clever design with a flowing open living space along one side opening up to your outdoor patio and a low maintenance yard. The second and third bedroom are in their own separate wing that can be closed off to the main living area. It also boasts a separate study and a custom design kitchen with a large walk in pantry. Great design offering 3 bedrooms with central kitchen, dining, and living areas. Entering through the front door, the house flows through the kitchen straight out to your private outdoor entertaining area. Packed with design features including walk-in-pantry, large linen storage, spacious study, ensuite, and bedroom wing. Large open plan central living including custom kitchen with plenty of storage. Generous master suite with double vanities in ensuite and opening to spacious WIR. Secondary bedrooms can be closed off in their own wing. Packed with features including a study, ample storage, internal laundry, and an open plan living area perfect for entertaining. Free Landscaping and Free Solar! Packed with design features including internal laundry, walk through pantry and a study. 3 bedrooms with a central kitchen, open plan living areas and a secondary wing for the two single bedrooms complete with their own toilet and bathroom. The Nexus is a great 4 bedroom design with a separate media room, large open plan kitchen/dining/living. The master has a walk-through robe to the ensuite with a separate toilet. Packed with features, including a mud room, internal laundry, and separate study. Just perfect for family living. Entering through the front door, this hoes flows through the kitchen straight out to the outdoor room- perfect for entertaining. Offering privacy, all bedrooms are separated from living areas and media room. Master suite is a wonderful retreat with a large walk-in-robe and separated toilet from ensuite. 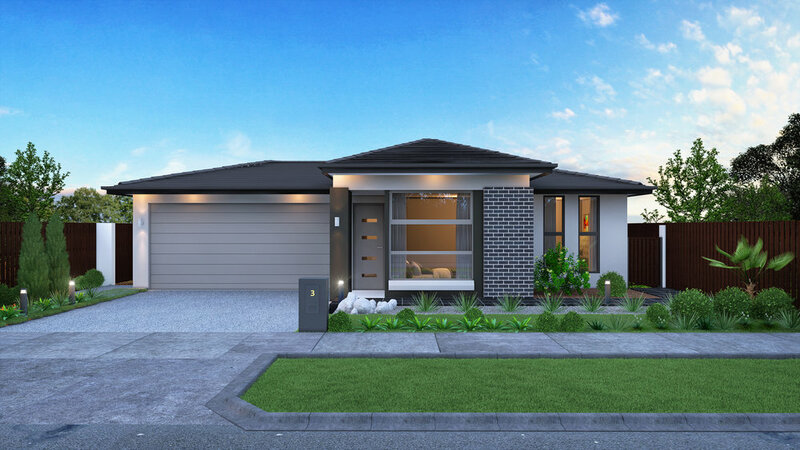 With easy access to Lavarack Barracks and the Willows Shopping Centre, Cannon Park Entertainment District, and Willows Golf Resort all only a 5 minute drive away, Kalynda Chase is nearing completion with a select number of premium lots still available. 3 bedroom home at Kalynda Chase for under $303,000! Ideal for First Time Home Buyers to get out of the rental trap. This efficient home features 3 generous sized Bedrooms with the master room situated away from the secondary bedrooms and features a Walk-in Robe and ensuite. As it's brand new, you can still lock in the $15,000 First Time Home Buyers Grant. Looking for something more modern instead of traditional? This design utilizes every bit of space including a supreme master bedroom away from secondary bedrooms with walk-in-robe, deluxe shower, and private access to outdoor patio. The perfectly positioned study nook separates bedrooms - ideal for homework. This corner duplex home features Master Bedrooms with ensuites, practical kitchens, and good sized living and dining areas to the front of each duplex. Single driveway entrance to each side of the block allows for separate entries. This is a great package to start your property wealth wheel. Live in one side and rent the other side out or receive a dual income from this package. Zoned for family, this home offers 4 bedrooms with a very spacious central kitchen and dining areas plus a generous sized living room. Packed with design features including W.l.R., internal laundry, cocktail bar, and plenty of natural light and space for comfortable family living. The Celestial is a well zoned 4 bedroom design offering everything a growing family needs. Ideal for children, three bedrooms are grouped together around a bathroom and rumpus room. Additional features include large butler's pantry, dedicated bar, internal laundry, study, theatre, and room for boat storage. From the moment you enter Hampton Grove, you can see the quality of this premium community. Offering an expansive lifestyle, with plenty of room for a pool, shed and space for unlimited entertaining. Situated on the southern side of Mount Louisa, close to an extensive network of shops, entertainment precincts and employment hubs, Hampton Grove is close to everything you will ever need. Enjoy getting to know your neighbour while living in a safe, secure and connected community. Stunning and spacious four bedroom luxury home with large home theatre room / two living spaces. Secondary bedrooms located in their own wing that can be closed off from main living area for additional privacy. Packed with design features including Study Nook, Mud Room Area for coats, Walk Through Robe in Master, Roll-through Garage option for boat or campervan, Internal Laundry with loads of storage space. Stand out from the rest. This luxury 5 bedroom home has a large theatre room, central open-plan kitchen, dining, and living space which opens to outdoor entertaining area. Custom designed kitchen with stone benchtops and walk in pantry. Different facades available for this plan from traditional to ultra modern. Two storey family home with all bedrooms offering WIR’s and located on top level. Spacious master suite opening to private balcony. Three separate interior living spaces across two levels including dedicated home theatre room. Large office/study at front of ground floor, perfect for home business. Postless sliding door system to extend living space to outdoor patio for entertaining. A floorplan with a little bit of everything- built in study nook, mud room, extra storage, walk-in-pantry, and outdoor kitchen. The dedicated home media room can be converted into a 4th bedroom. Spacious open plan provides flow throughout the home. Secondary bedrooms can be closed off in their own private wing. 3 Bed | 2 Bath | 2 Car Garage | Room for Boat! Entering through front door, the house flows through the kitchen to the outdoor patio. Private bedrooms with central study, bathroom, toilet and laundry. Packed with design features including WIP, WIR, internal laundry, spacious study, walk-in-linen and corner opening doors to patio. A great design for families who entertain. Packed with features and zoned to the max! The 3 bedrooms located in seperate wing around a family bathroom and study nook. Large master bedroom located at the rear of the home. Massive open living design with large walk-in-pantry and laundry room. Entering through the front door, the house flows through the kitchen straight out to your private outdoor entertaining area. Packed with design features including walk-in-pantry, large linen storage, spacious study, ensuite, and bedroom wing. The Herald is masterfully zoned for privacy between living and bedroom spaces. Generous living areas located at the rear of the home with a walk-in-pantry, dedicated study nook, and ample storage. Entering into the bedroom wing, the master suite offers option for private parents retreat out back. The Olympia’s centrally located kitchen is ideal for outdoor entertaining and benefits from a large walk-in-pantry. The master suite features a large wrap-around ensuite with double vanities. Ideal for children, the second and third bedrooms can be closed off as a seperate wing with dedicated study nook and bathroom. Multiple options for front facades and customisation. Efficient use of internal space provides all the elements you could desire without having to break the budget. The inclusion of a detached garage delivers a well-considered private garden and yard not normally found in lots of this nature. Private frontage with separate garage laneway access means privacy and security. Offering privacy with all bedrooms separated from living and media room. The master bedroom is a wonderful retreat with a large walk in robe and separated toilet from ensuite. Secondary bedrooms have a perfectly located, central bathroom with separate toilet for guests.